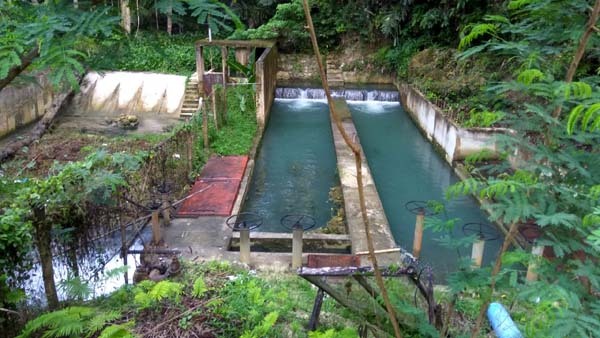 Loktob Spring is practically along the Loboc River. 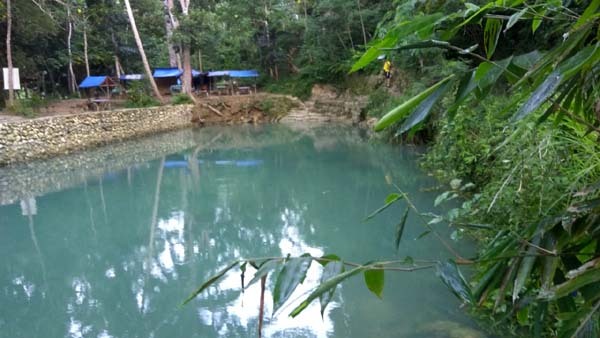 The developers contained it within a stone pool which opens up to join Loboc River. We didn't have enough time to soak ourselves. But for now, it was good to see the place and put it on my map. Next time I visit, I'll bring my Speedo! 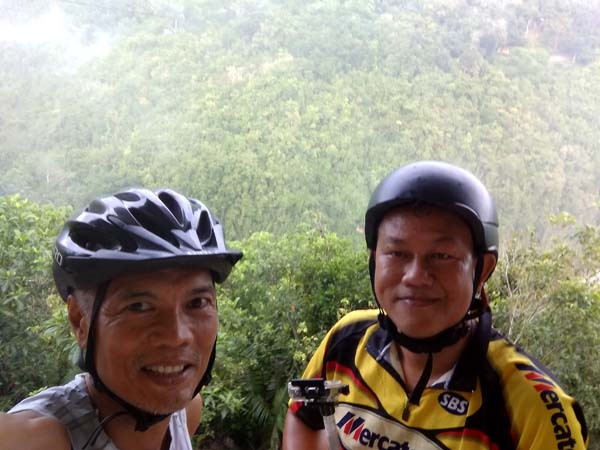 Further up the road towards Bilar is another ambitious undertaking of Loboc - Eco-Tourism Adventure Park. 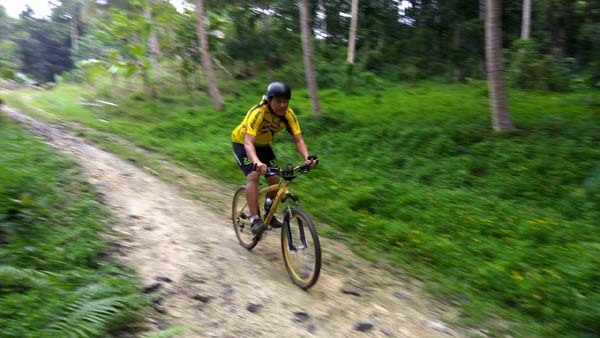 The bike ride was along the main highway on curving graded pavement. One section had a hairpin turn - good on the downhill with full banking. 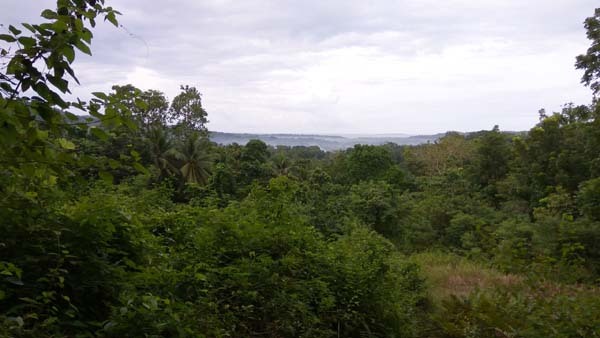 The adventure park is perched on a cliff side where you get a panoramic view of the river and the mountainscape across. This is also where you zipline across the river and back by cable car. If not for anything else, stopping by for a coldie while appreciating the scenery makes the visit all worth it. Jeffrey then took me to the interior where we left our bikes to trek the mountain on foot. We were in search of the trail leading to the landslide. In the 2013 earthquake, half of a mountain collapsed leaving the other half with a vertical cliff. We were to stand on the precipe of that cliff. Unfortunately, after doing some climbing, the trail vanished. Either the trail was eaten up by the forest or we simply took the wrong trail. Another time perhaps. 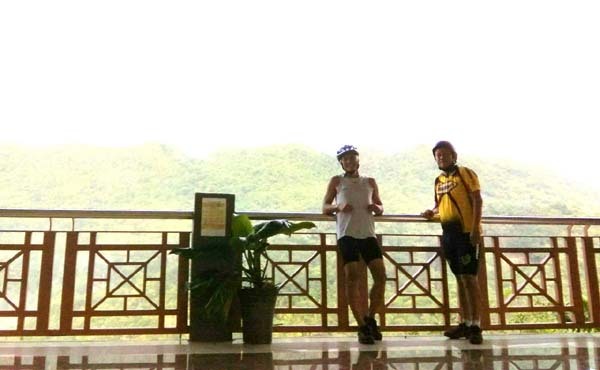 Loboc is small enough to see everything on a bike - but it requires some fitness. The more I stay here, the more I experience its layered dimension - like peeling layers off an onion. Some you can do on your own, some require a guide. 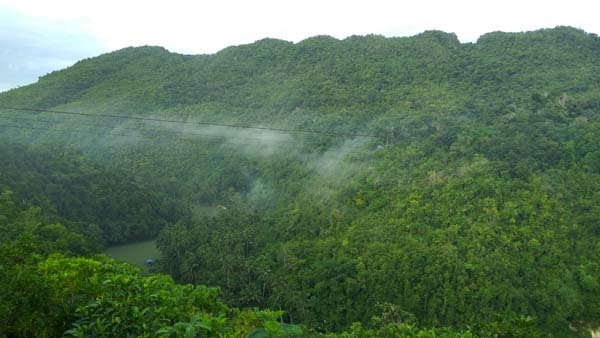 By staying longer, I am privileged to experience parts of Loboc the passing traveler never get to experience. And there's so much more! Everyday brings new promise of a new discovery. 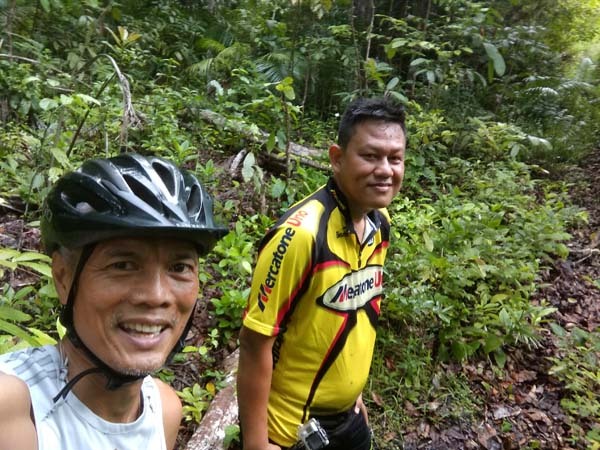 Thank you Jeffrey for unravelling Loboc's hidden beauty.